What do you do with empty seats on an airline bound for Samoa? Well if you are a Tongan Airline, in this case Real Tonga, you will fill them up with watermelons and make sure you strap them in. 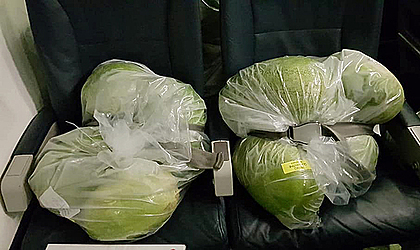 On a flight to Samoa last week, pictures posted on social media showed half the plane filled with watermelons. The pictures have gone viral with the reaction mostly hilarious and positive.